Candid photography is all about catching the simple and spontaneous moments that occur in everyday life. It’s a rightly popular genre of photography as it allows you to capture natural looking images. 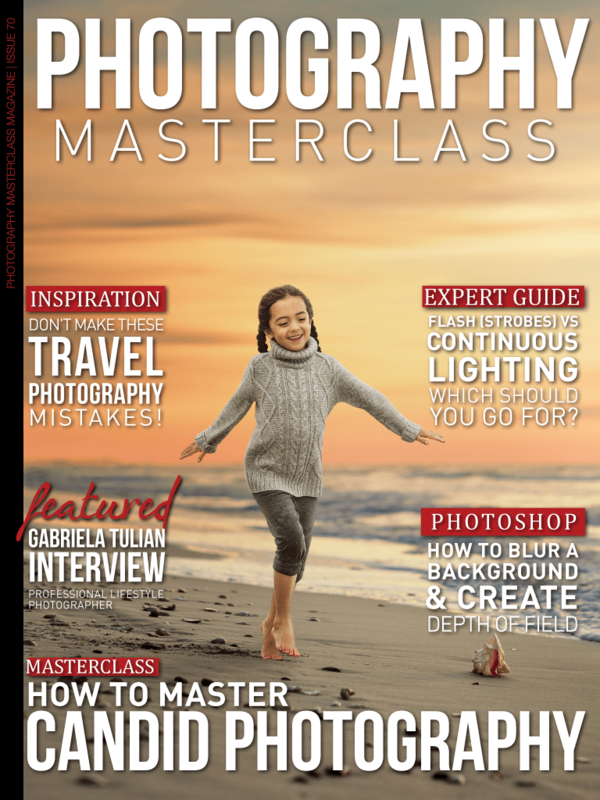 In this issue, we look at exactly what you need to know to master this highly useful skill and shoot candid images successfully. Also in this issue – we look at whether you should go for Flash (Strobes) vs Continuous Lighting when deciding on a lighting setup. You'll discover how to blur a background and create depth of field in a great Photoshop video tutorial. We also bring you an in-depth interview with professional lifestyle photographer, Gabriela Tulian, who has a passion for turning ordinary things and moments into unique and exceptional photos. And don't miss the lowdown on the PolarPro Quartzline Filters – a unique line of filters that combine an ND and polarizer in one!